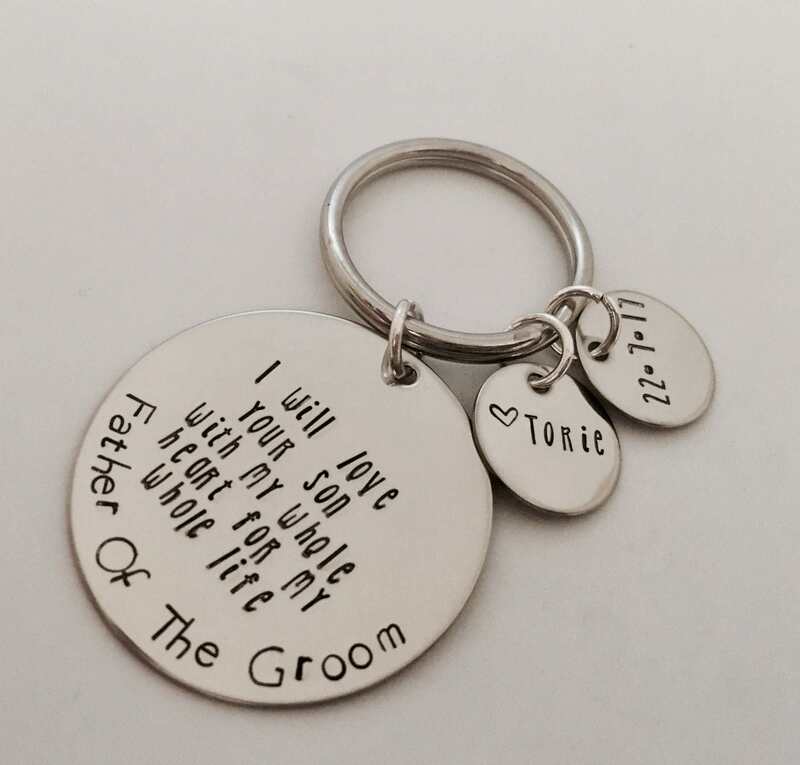 This sweet keychain makes a great gift on your special day! 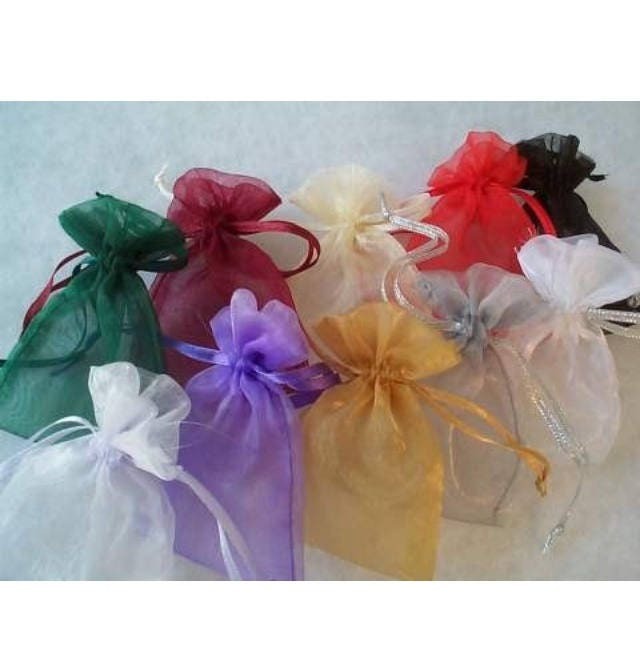 Please feel free to customize the wording to fit your needs. 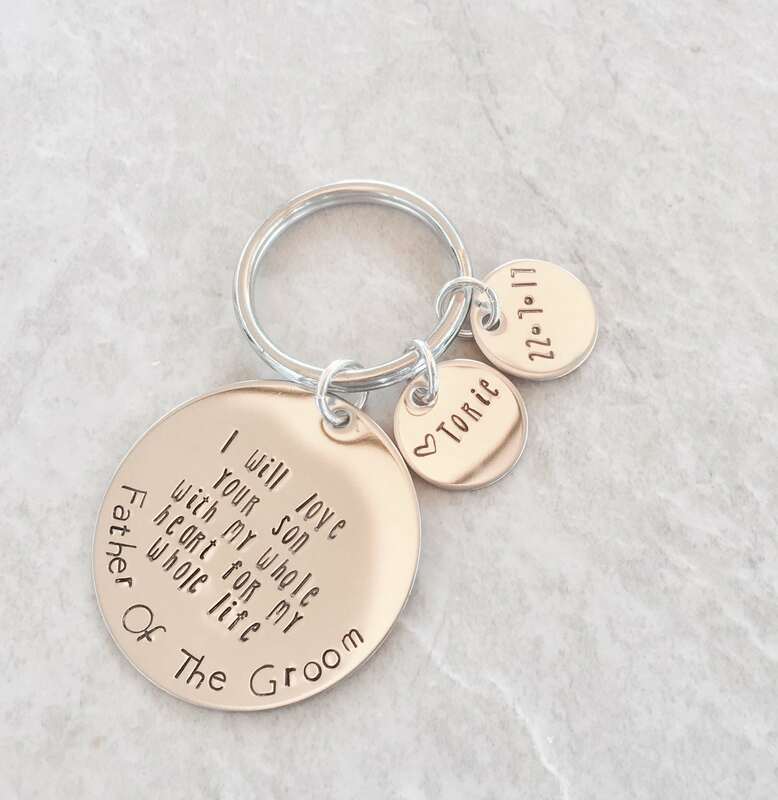 Shown with, "I will love your son with my whole heart for my whole life", and "Father of the Groom" around the bottom edge--this can also be made for a father/mother of the bride, changing "son" to "daughter" and "groom" to "bride", etc. Large disc measures 1 1/2"
Smaller discs include name on one and date on the other. Both measure 5/8". TO PERSONALIZE: Please leave me the details you'd like included (wording changes, name, and date) in the notes section of the check out page. If you have any questions or concerns about personalization, do not hesitate to contact me.